How do you define an object if not by its composition or usage? 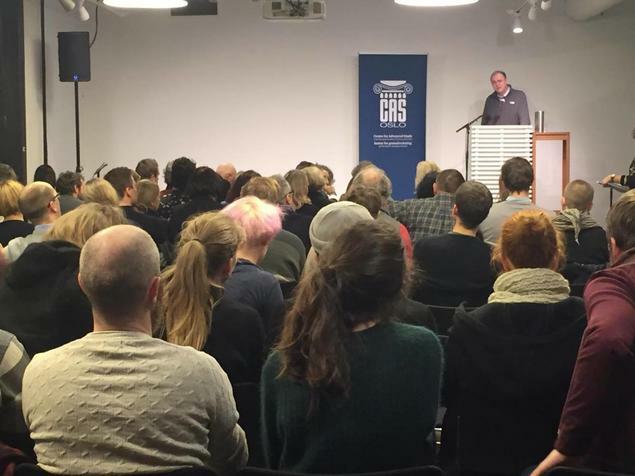 Contemporary philosopher Graham Harman presented his Philosophy of Things in an open lecture at Litteraturhuset in Oslo. 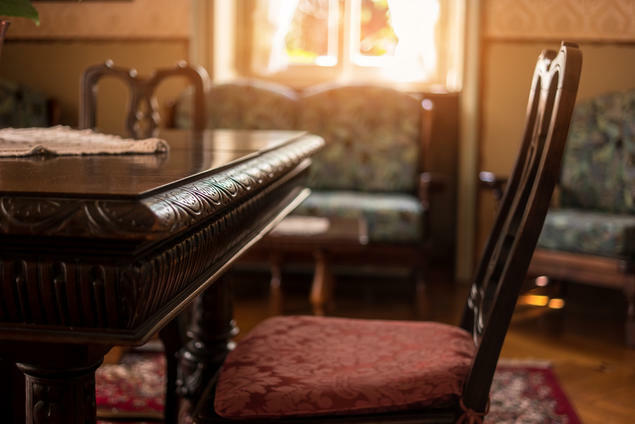 – I have settled down to the task of writing these lectures and have drawn up my two chairs to my two tables. He continues to explain that the first table is the one you can see, a piece of furniture with a function. This table is a piece of wood you can lean on and touch. The second table is a scientific object, the molecules and spaces between them that the table consists of. Eddington believes every object has two versions, one version with traits that are useful to us and one scientific version that can only be unveiled through science. Distinguished Professor of Philosophy at SCI-Arc in Los Angeles Graham Harman works primarily on the metaphysics of objects. In front of a full audience at Litteraturhuset in Oslo, the contemporary philosopher explains his theory of things. Harman claims that none of Eddington’s two tables give us true knowledge about the table. By using the concepts 'undermining', ‘overmining’ and ‘dualmining’ Harman convinces the audience there is a need for a third table. Harman refers to Eddington’s first table as ‘overminding’. The first table says only something about how the table can be used. The second table, the scientific table, is undermining the object. The table is reduced to being nothing more than its physical components, something that can be revealed by studying it with a microscope. – Usually, when describing a thing, people do a combination of undermining and overmining, Harman says. People say what the thing consists of and they say what you use it for.This is dualmining, Harman says, but even dualmining is not addressing the thing in itself. In order to have real knowledge of a thing, we need to also address the thing itself instead of merely its components and its usage. - We do not change Oppenheimer’s name to Einstein because people believe that Einstein made the nuclear bomb! When asked who Einstein is, people do not answer that he is made of carbon and water. However, most people answer that he is the man that made the nuclear bomb. This is not true; many scientists were behind the nuclear bomb, most notably Oppenheimer. We do not change Oppenheimer’s name to Einstein because people believe that Einstein made the nuclear bomb! Harman argues that this name logic applies to objects as well. In order to create knowledge about things, we need to address them as such and not merely as the sum of their components or what they can be used for. Bjørnar Olsen is leading the CAS project: After Discourse: Things, Archaeology, and Heritage in the 21st Century. 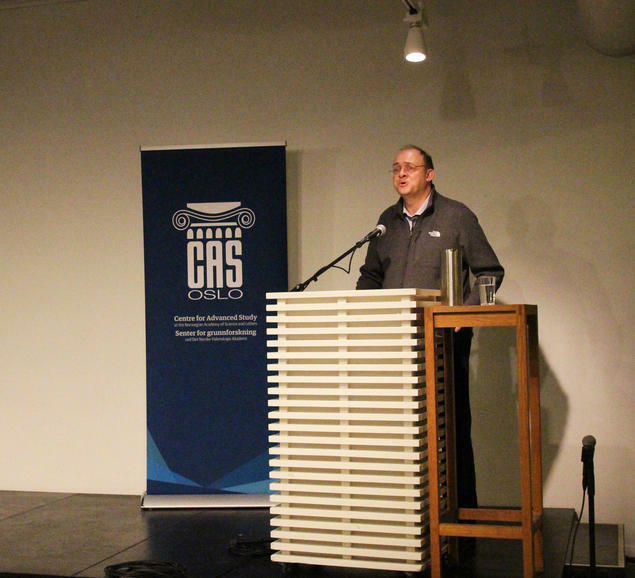 Olsen’s research group invited Graham Harman to hold the lecture at Litteraturhuset in Oslo and the group is planning more exciting events in the coming months.